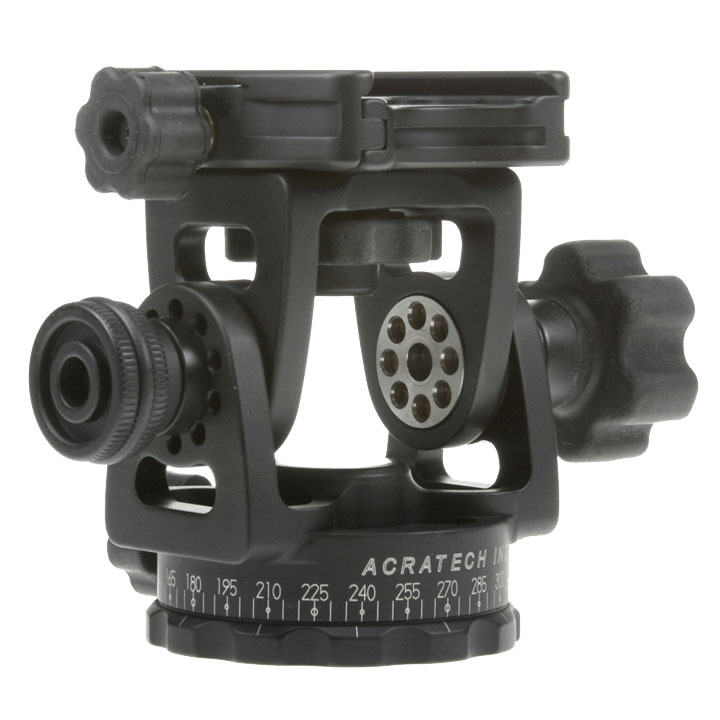 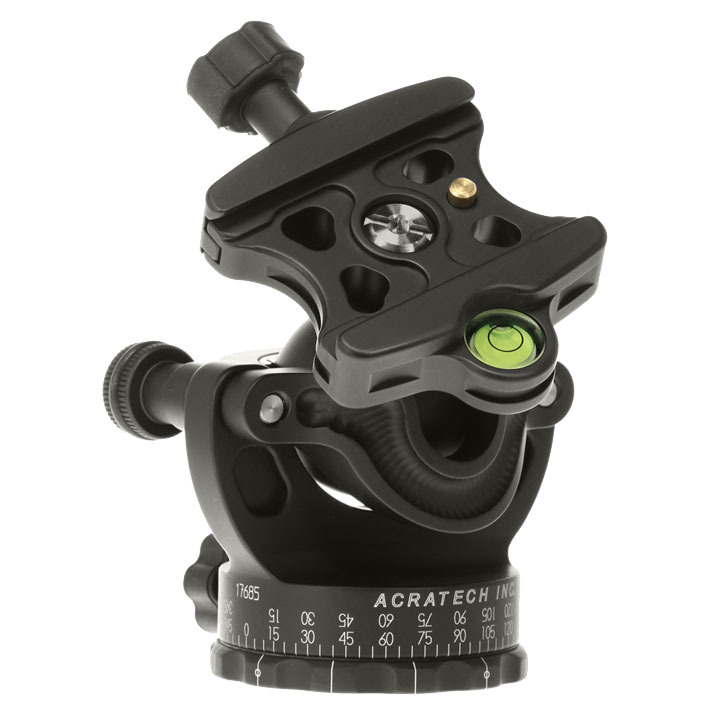 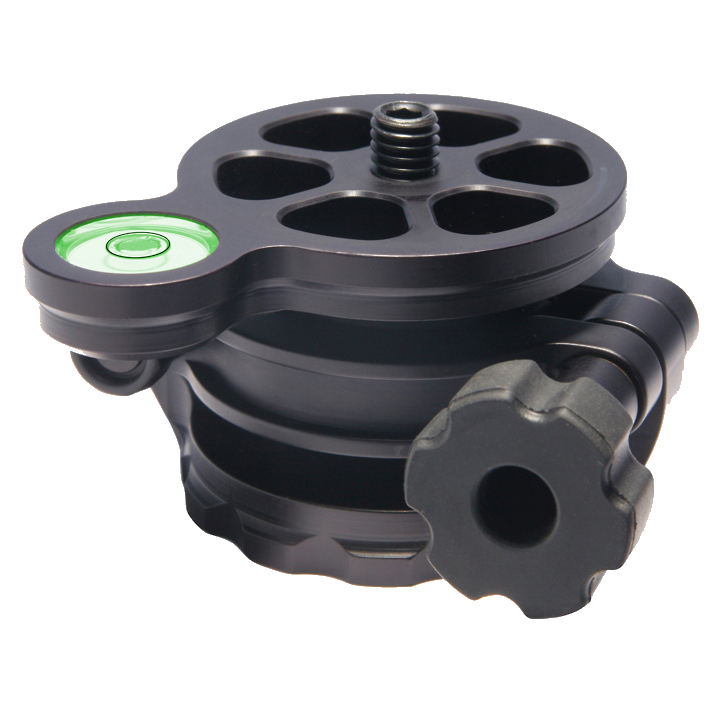 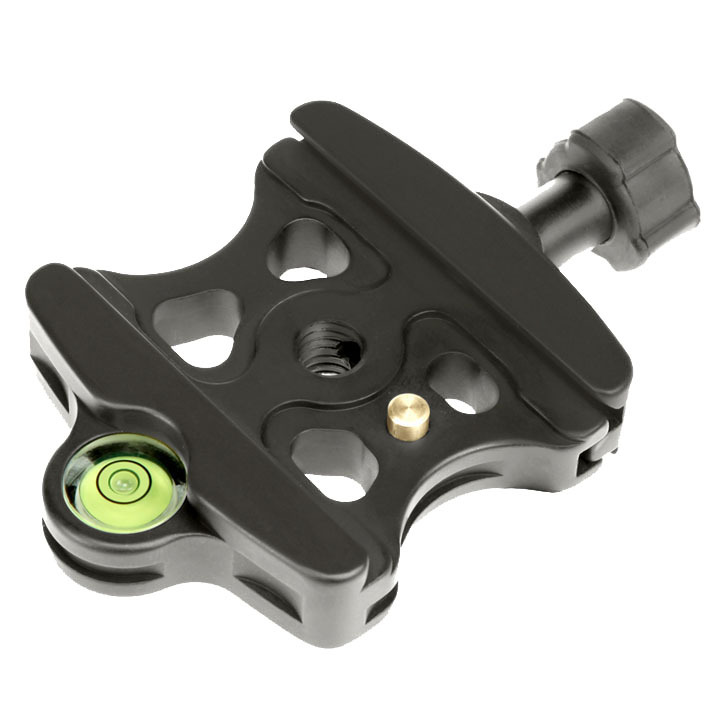 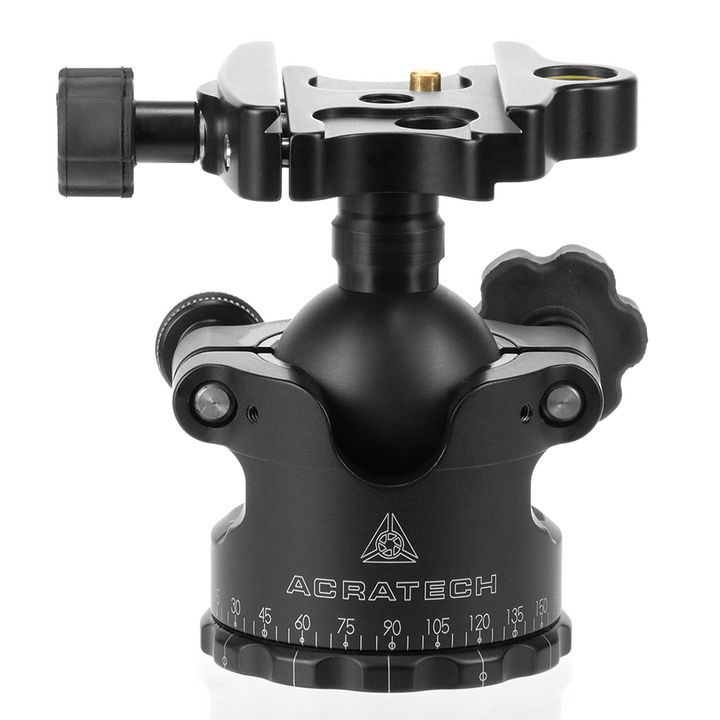 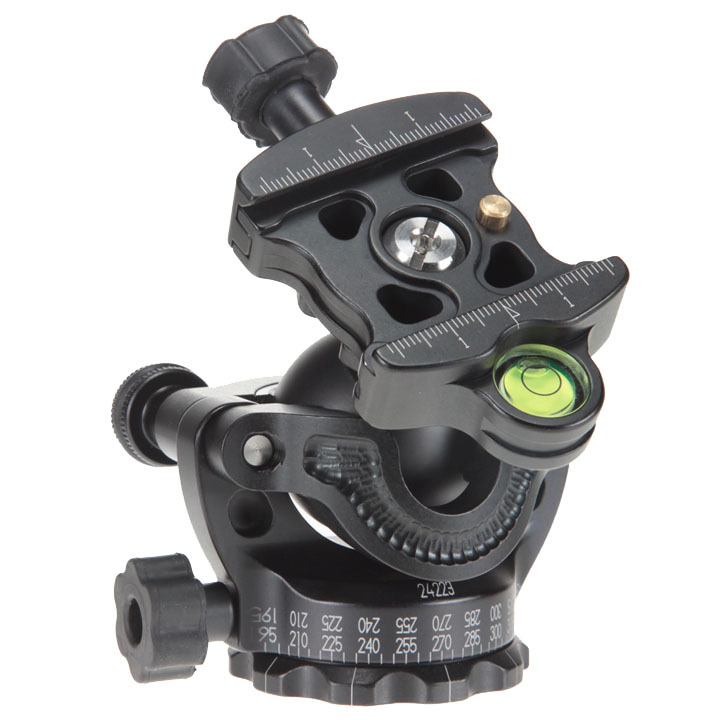 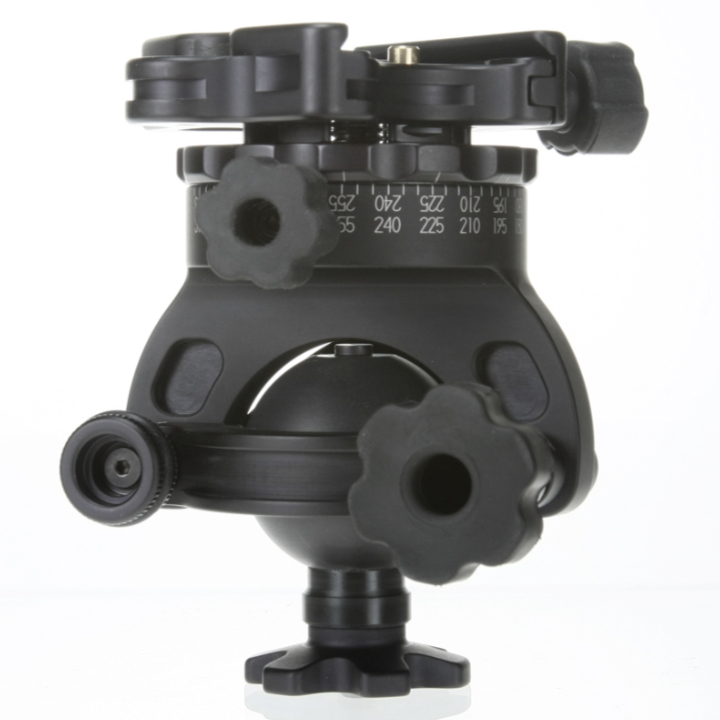 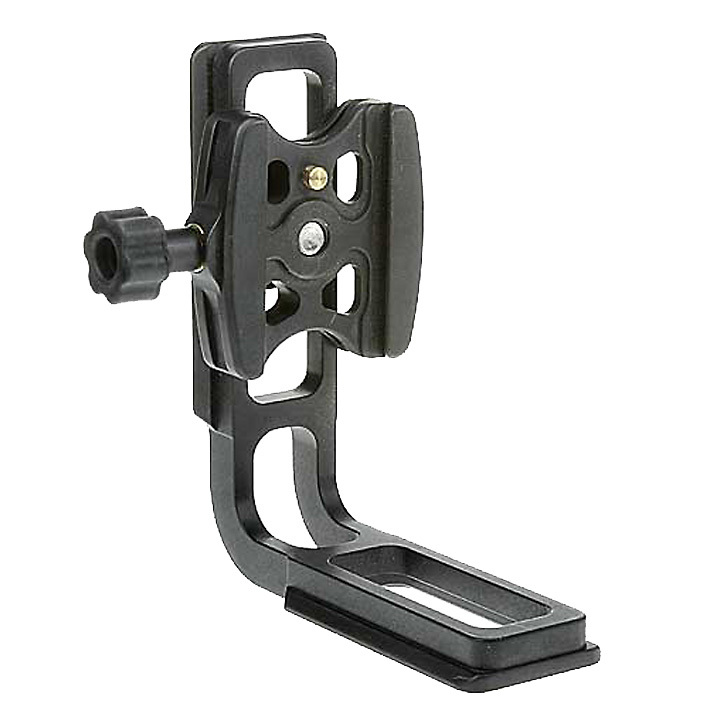 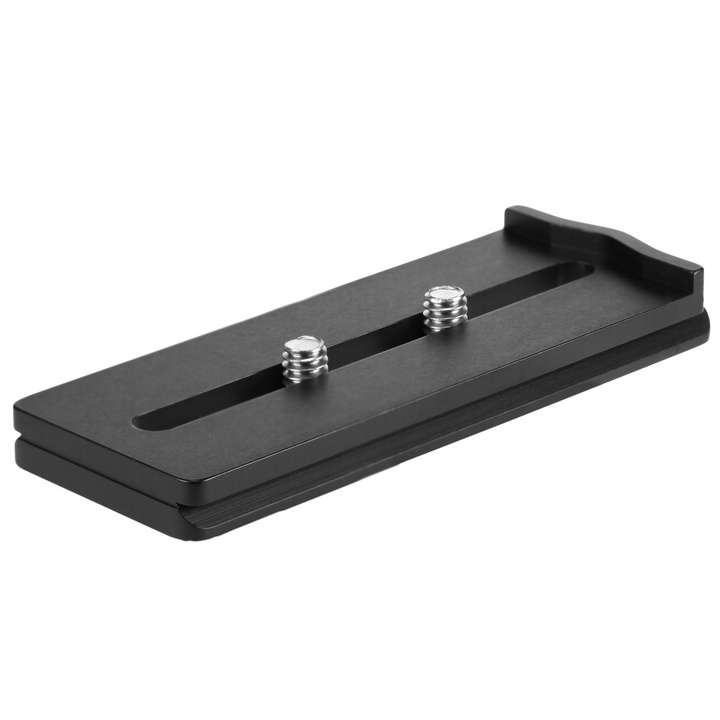 The Acratech GP is uniquely designed to function as a Ballhead, Gimbal Head and Levelling Base. 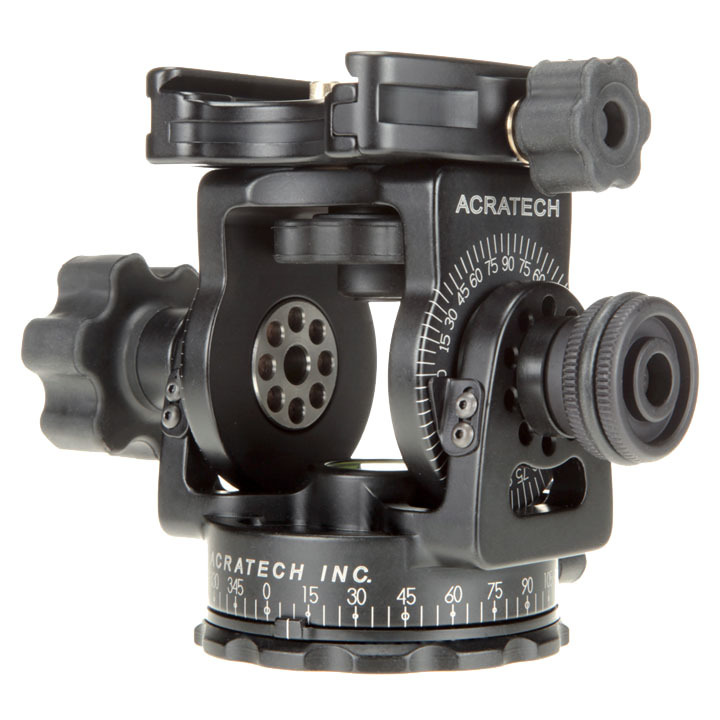 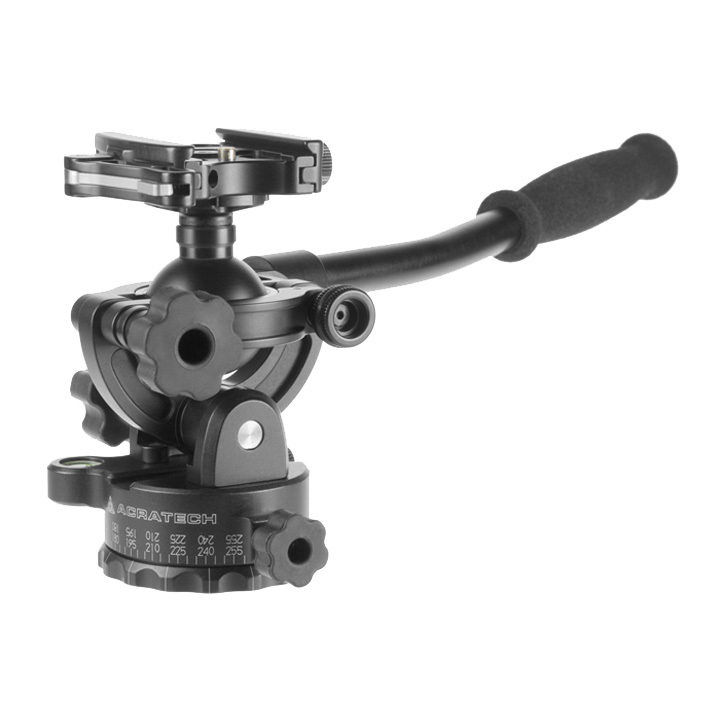 The Acratech 1155 GP Ballhead has all the benefits and features of the GV2 ballhead including the ability to function as a gimbal head and of course it still weighs less than 1 lb. 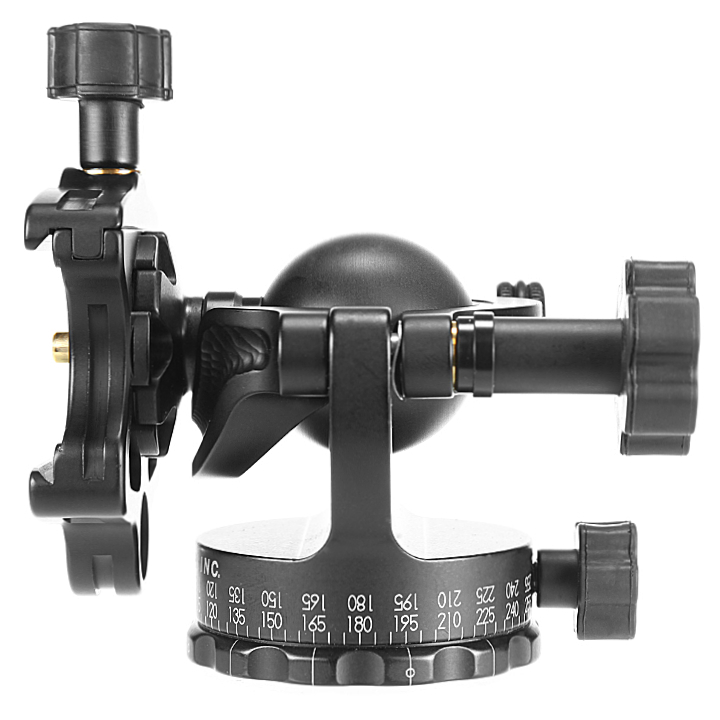 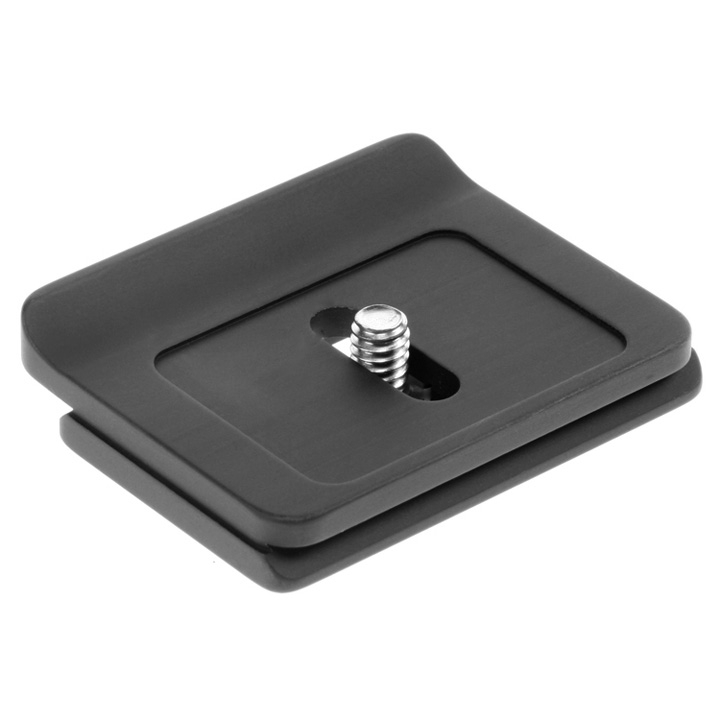 What really sets the GP apart from all the other ballheads is that it is also designed to be used upside down, allowing the ball to be used as a levelling base for stitched panoramic images. 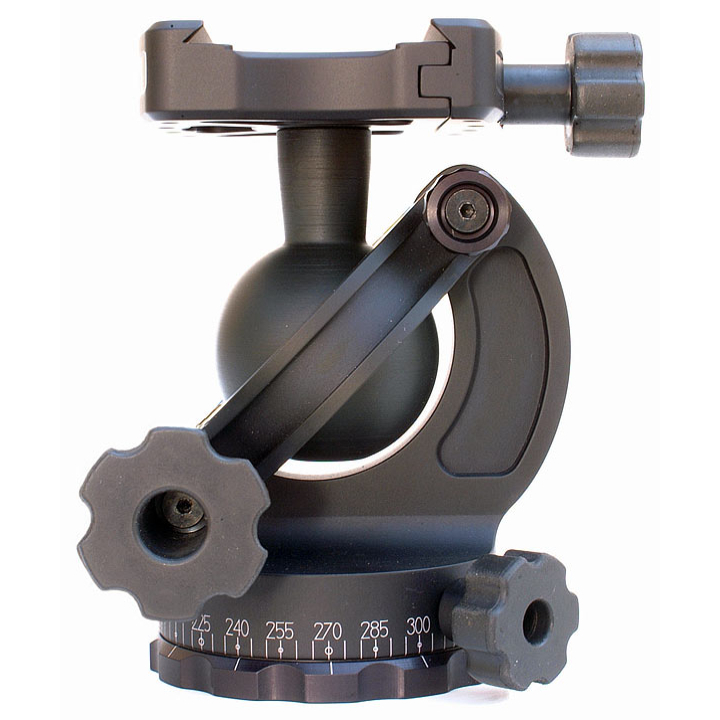 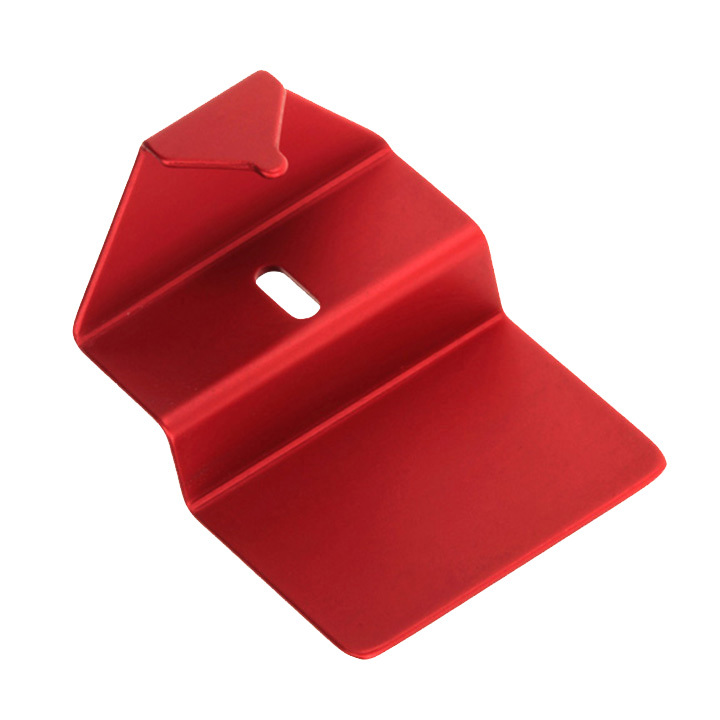 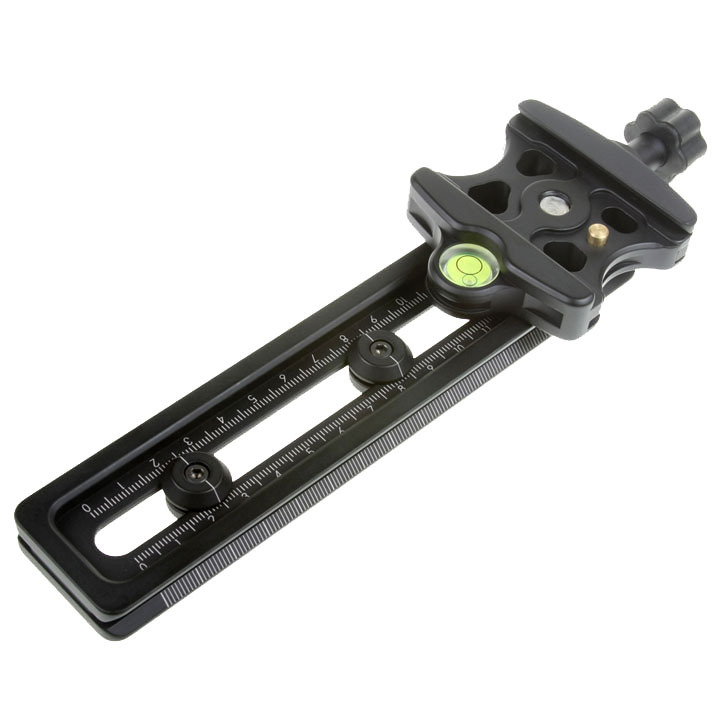 Even when using your tripod on rocky, uneven terrain the GP Ballhead allows you to pan parallel to the horizon, eliminating the need to carry a separate levelling base to create accurate panoramic images.